iNNEXT has always devoted itself to providing fashion and superior products with the end-users, so that you could enjoy the leisure shopping experience at the same time. Moreover, we have been working hard to seek out various funny products together with unique customer service, to make the customers gain more happiness. Leather Pouch Carrying Case with Magnetic Closure - Magnetic closing flap keeps the phone firmly protected inside the case. 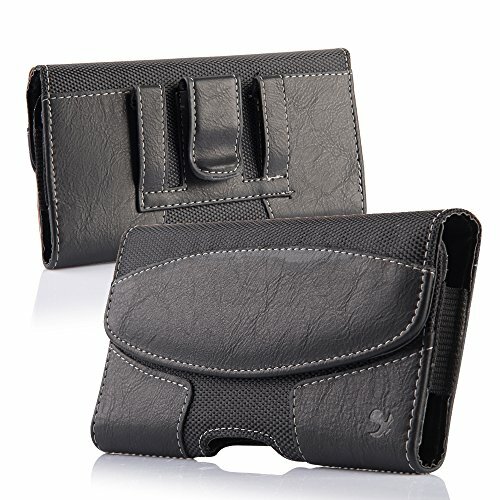 Belt Clip Holster - This pouch is equipped with one durable belt clip plus 2 additional secure belt loops. Insert the two back loops into your belt and guarantee your phone's safety! Durable and Convenient - Anti-Aging / Dirt Proof Material Extended Usage. Enhanced Magnetic Flip Cover. Non Frustration Closure. Note: The pouch is perfect for a naked phone. It will be better remove the other case already on your phone before using this pouch. If you have any questions about this product by iNNEXT, contact us by completing and submitting the form below. If you are looking for a specif part number, please include it with your message.